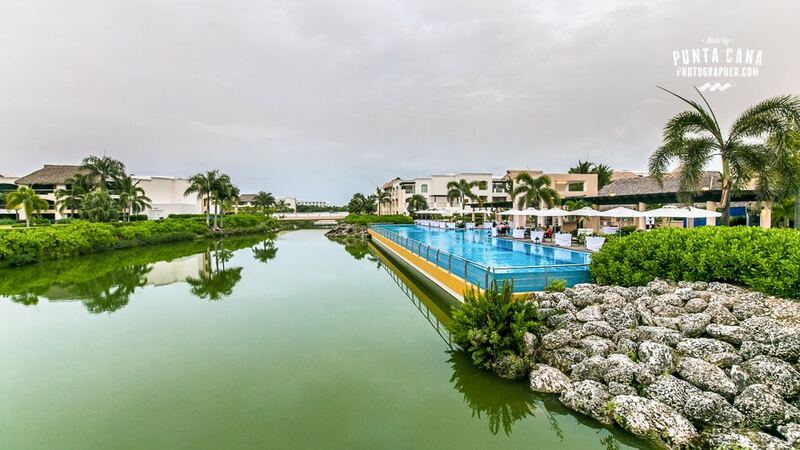 This post is part of a series of Hard Rock Hotel Punta Cana. Check out all of them! Do you like swimming? 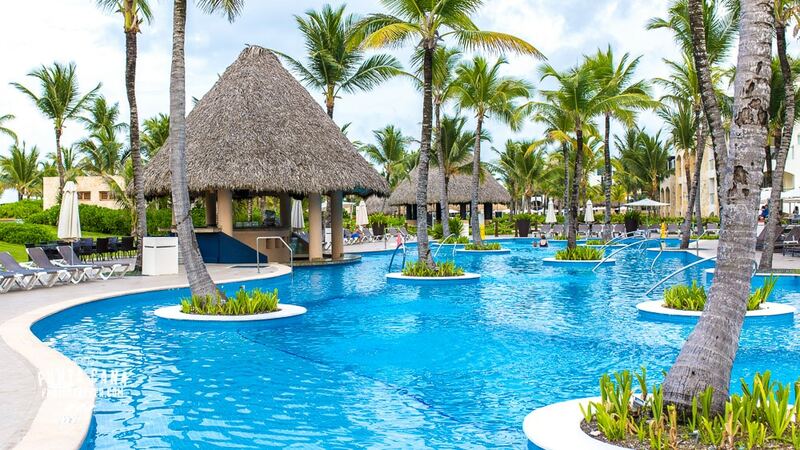 Then come on down and visit one of the eleven pools at the Hard Rock Resort in Punta Cana! With cool, clear, water, and venetian style design, it’s easy to see why the pools will be one of the highlights of your trip! Are you excited yet? We’re excited for you! What Makes the Pools at Hard Rock special? To start, there are eleven pools! This includes ten large pools, four swim up bars, and a pool for children! 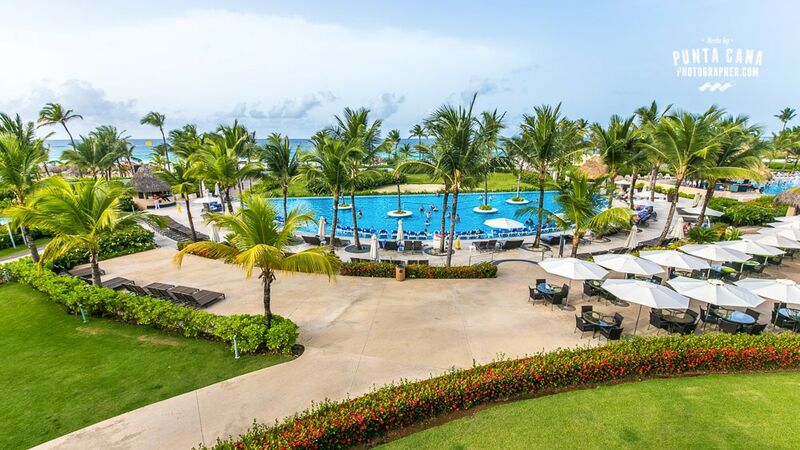 Each pool has something special to offer you, whether it be gorgeous scenery or fun activities like water slides, the Hard Rock Resort has it all. With eleven pools and four swim up bars, there’s a lot to choose from. Just in case you can’t visit them all, here is a list of our favorite pools! This adult-only pool offers a lot of excitement to all those who attend! When we went there was a live DJ that was amazing (seems to be a theme for the Hard Rock Resort). There was also a bar and Bali Beds! The Bali Beds were my favorite. They were so comfortable! Just a heads up, if you do visit the Eden Pool you might see guests sun bathing European style, so don’t be surprised when you arrive. The Isla Pool is a member only pool that offers wide open spaces and an exotic Latin influence. I liked this pool because of its secluded feel. Standing in the pool, I felt as if I were on an island in paradise. Wait! I was in an island on paradise! It’s gorgeous and you will love it. The Family Pool is wonderful. It has waterslides, great music, and other fun and games that the whole family can enjoy. I think this is the best pool to visit if you have children. You won’t have to worry about disturbing the other guests because they will be expecting excited children. All the music and activities will be child friendly; it’s just a great environment, and if we had children thus is where I would take them. The Sax Pool is the ultimate place for relaxation. Why? Silence. This is a silent pool where the only sounds are the gentle sounds of flipflops on pavements and the rippling water around you. It is incredibly relaxing, you may never want to leave! This isn’t a place for children. As cute as they are, they can get loud. It’s one of the best places to relax and I think you will really enjoy it too. The pools at the Hard Rock Resort are amazing. I cannot say enough about them. They are beautiful and well thought out. They are well maintained and very clean (which can’t be said of all pools). I think one of my favorite things about this place is the diversity. Are you looking for some excitement and don’t want to be around children? Then go to the Eden Pool! Do you want peace and quiet? Then visit the Sax Pool. Do you want somewhere safe and fun to take your kids? Then go to the Family Pool. It’s just an amazing set up and I love spending time at each of the pools. The only bad thing that I have noticed while visiting the pools is the exclusivity of some of the pools. Not all the pools are available to the guests, some pools are only for members. 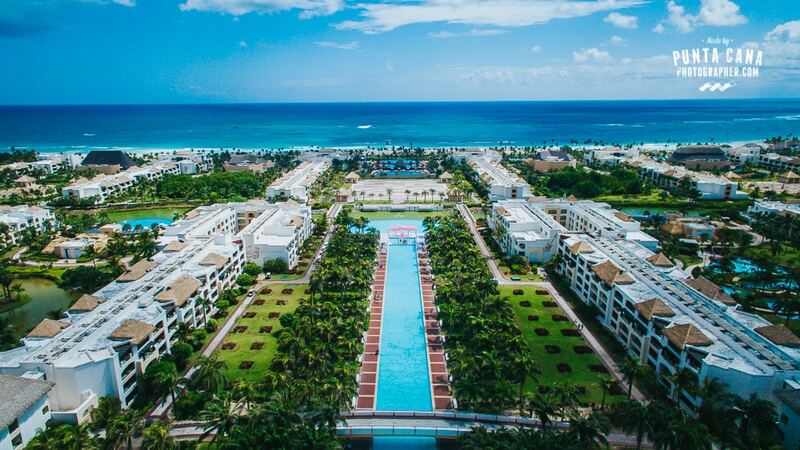 This might be frustrating to some guests who want to visit these places… but this may be a plus for you if you enjoy exclusivity or if you are a member of the Hard Rock Resort. Overall, we always enjoy our time at Hard Rock. The pools are breathtaking. My favorite pool is either the Sax or the Eden Pool. Sometimes we enjoy the peace and quiet and other times I want to be around people who are dancing and singing! But that’s an amazing thing about this place, it can meet all your needs. Now that you have read about the pools, which one do you think you would like the most? Let us know in the comments!